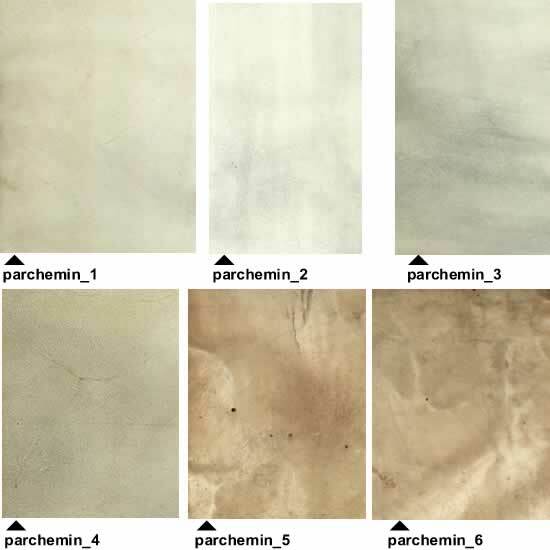 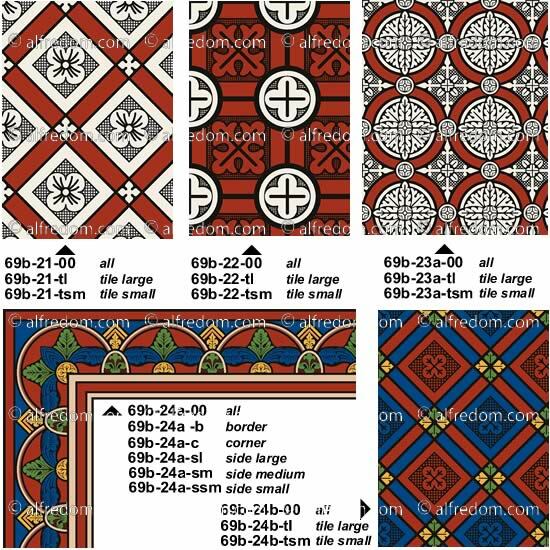 Plates 67a, 67b, 68, 69a, 69b & 70. 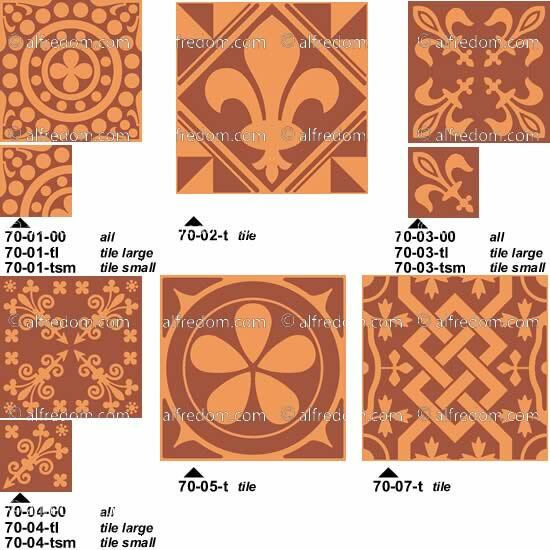 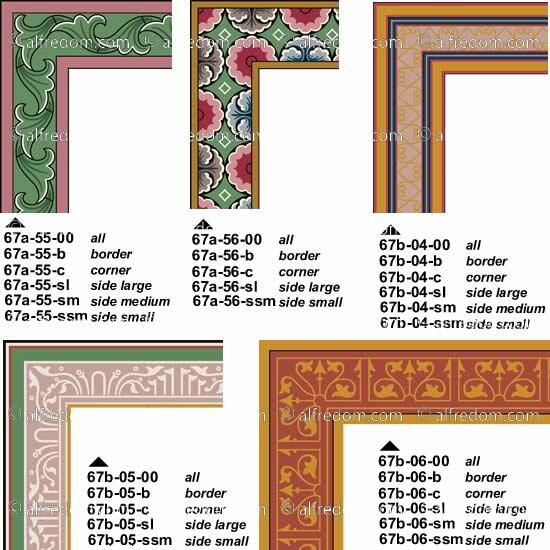 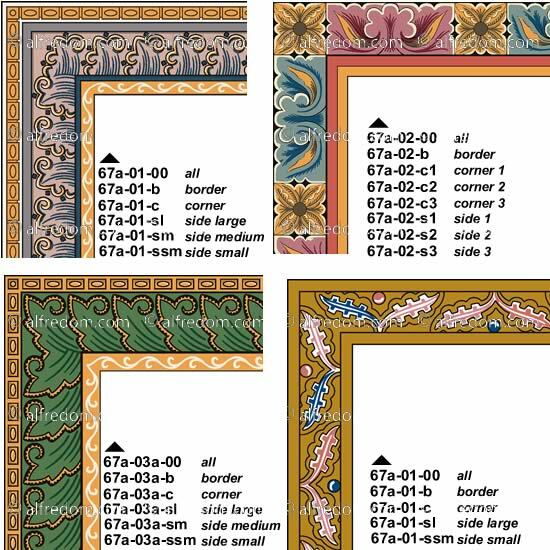 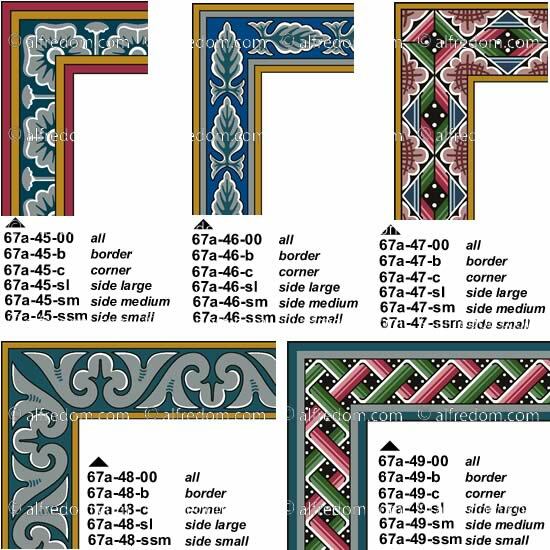 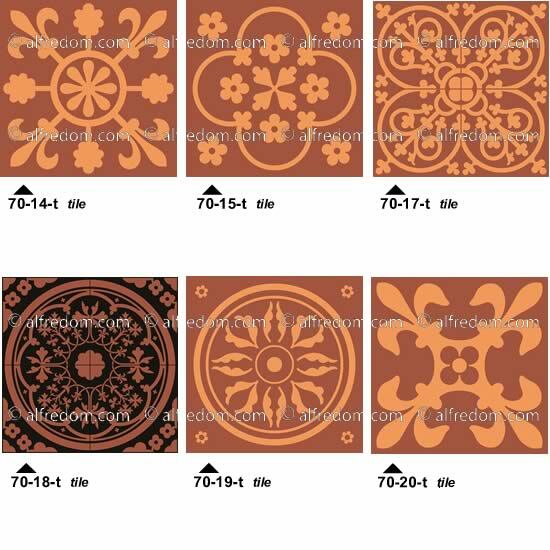 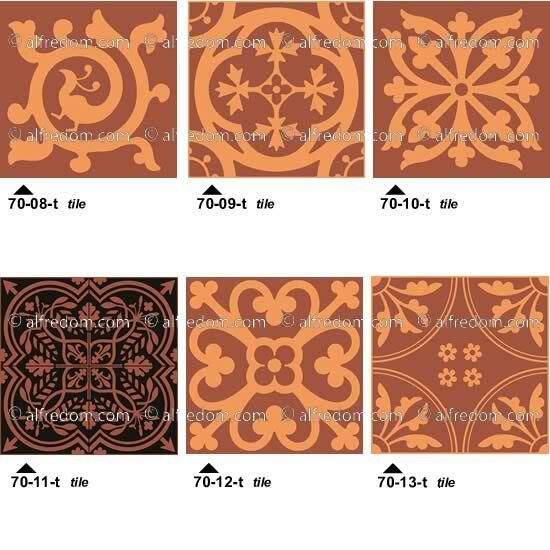 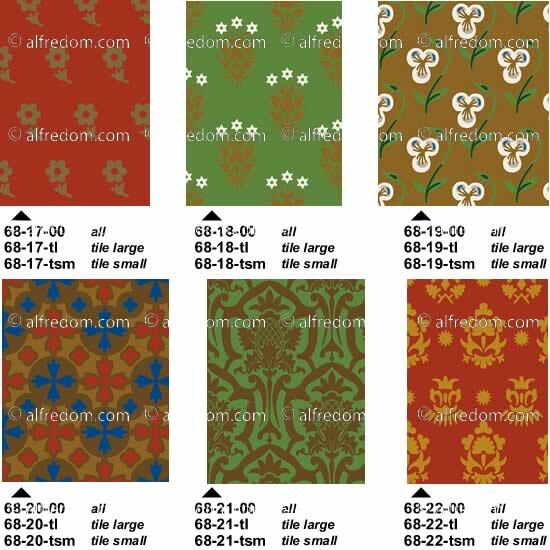 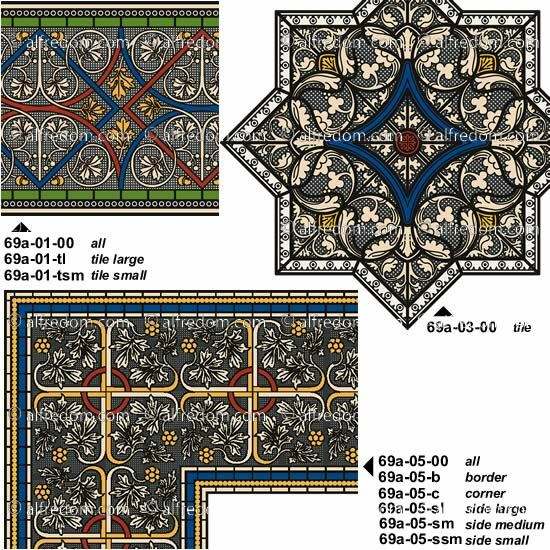 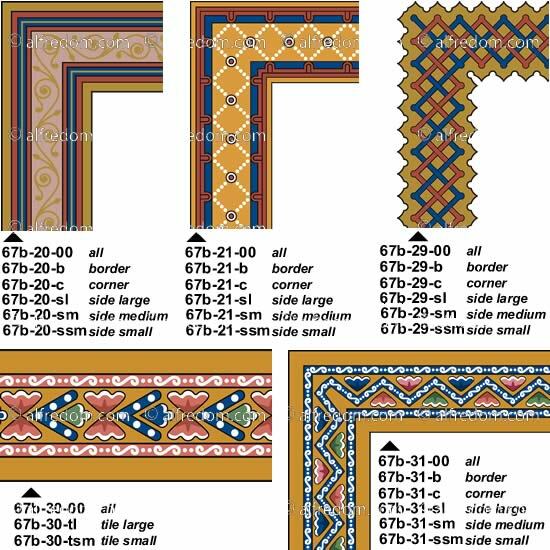 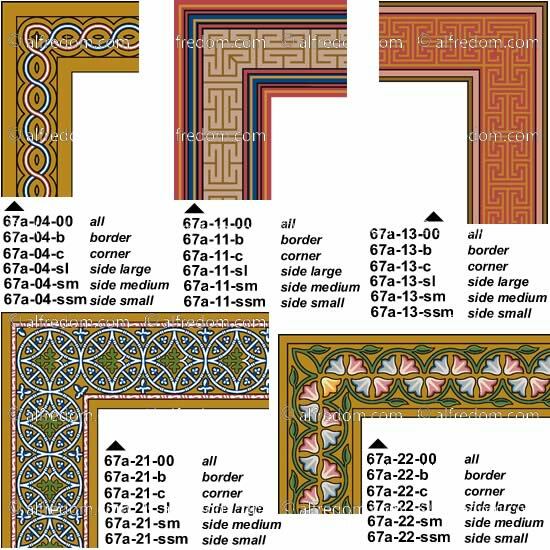 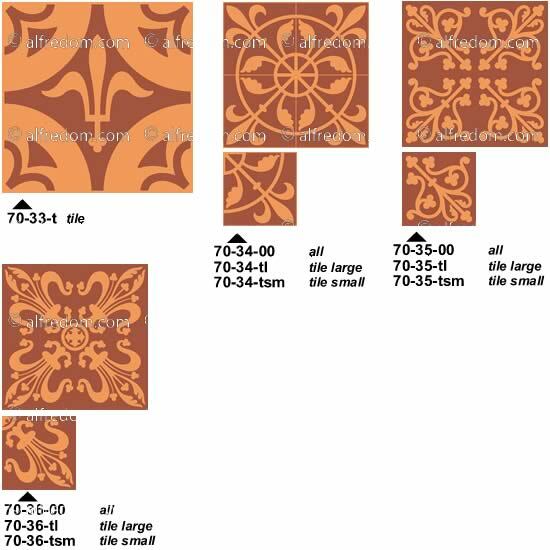 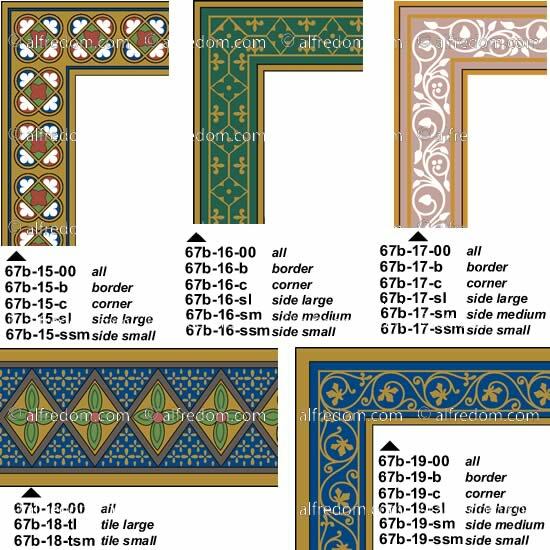 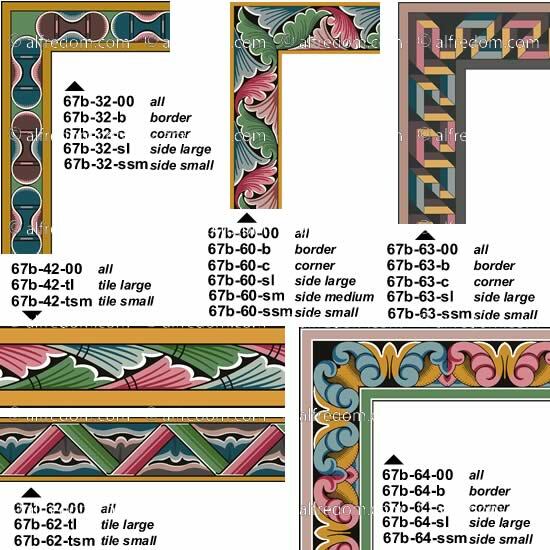 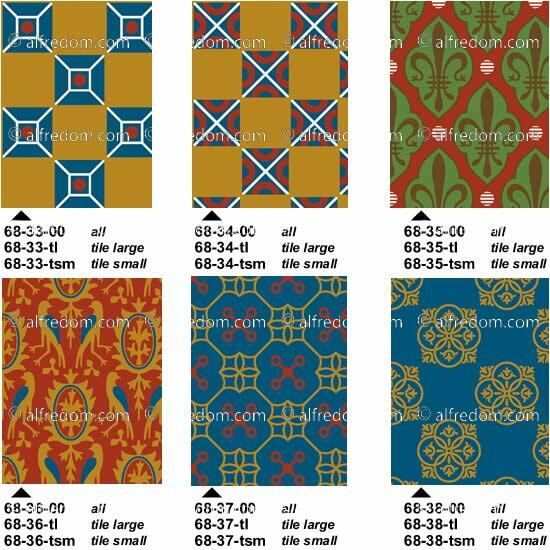 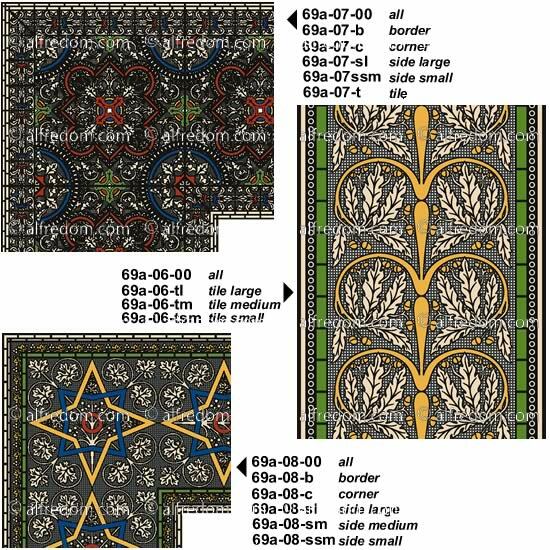 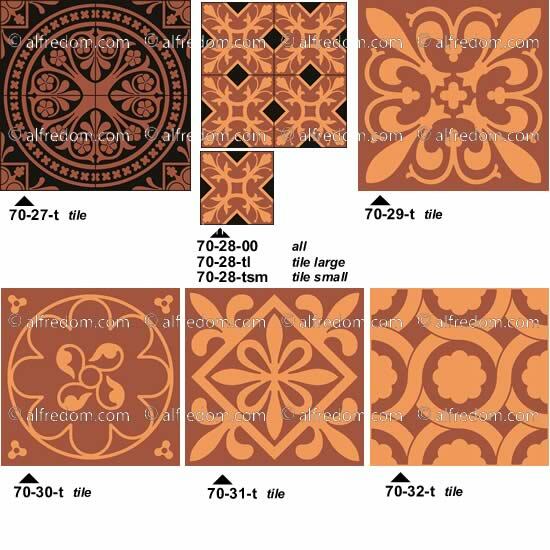 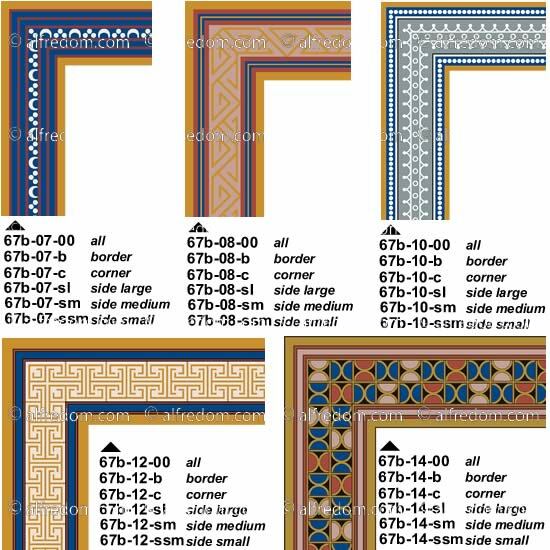 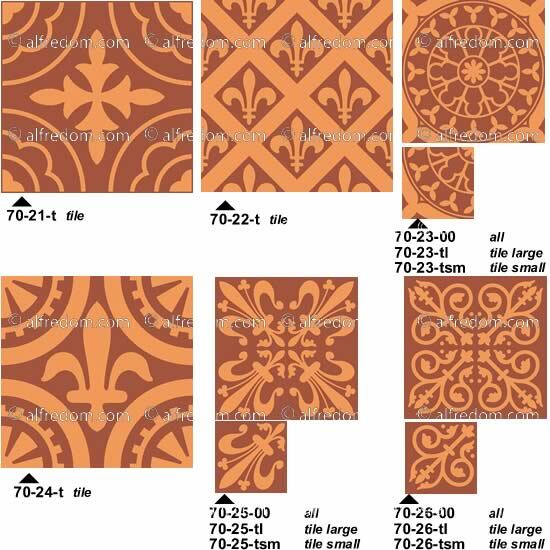 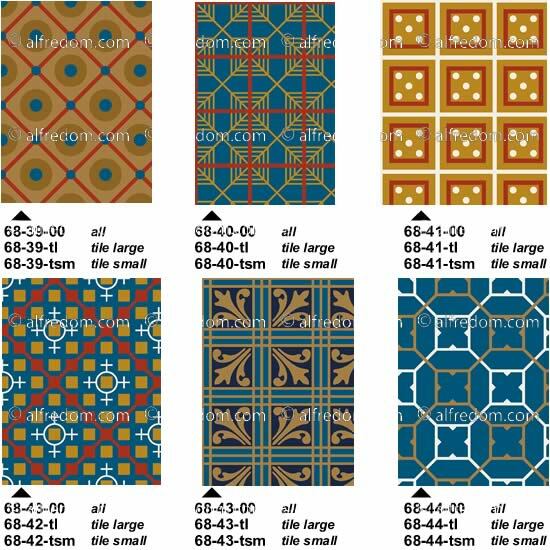 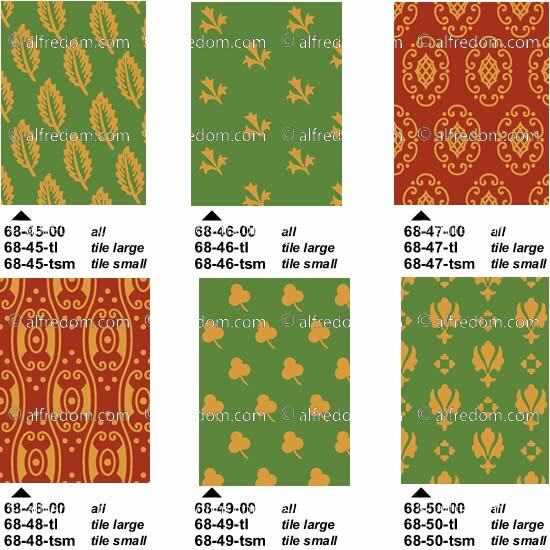 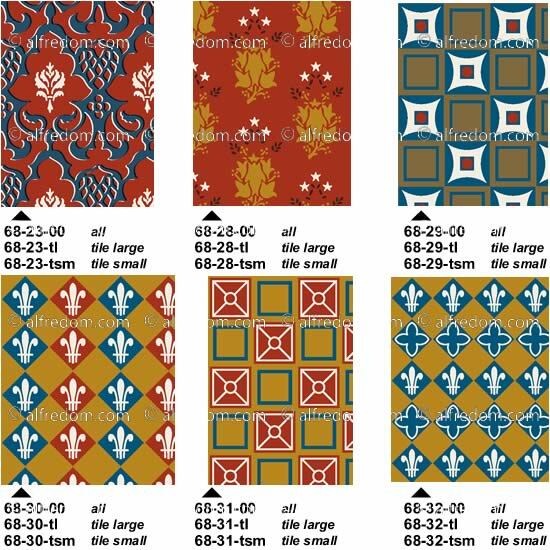 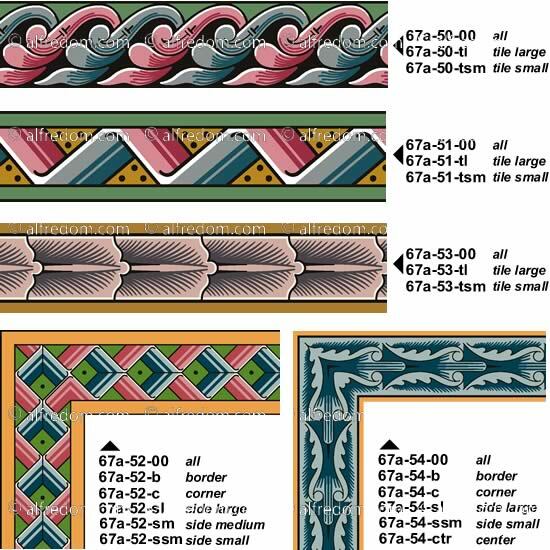 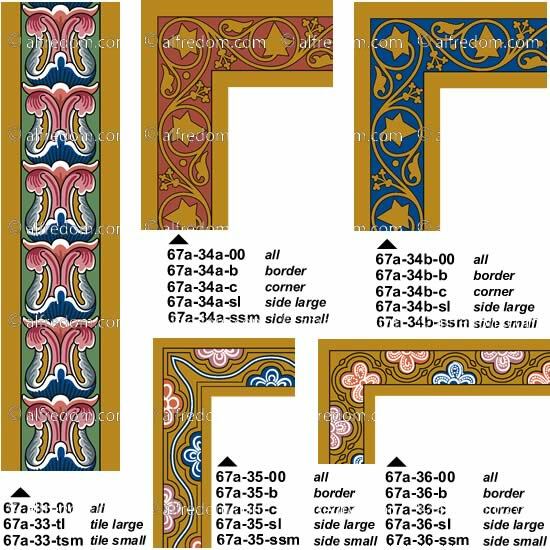 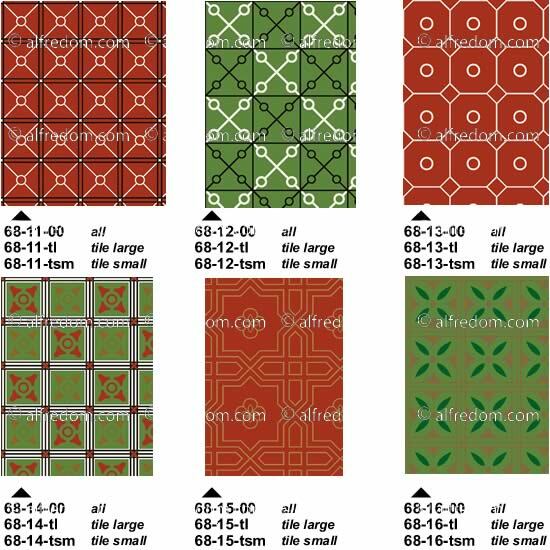 Based on the images of the plates 67a, 67b, 68, 69a, 69b and 70 of the Chapter 16 of the Grammar of Ornament. 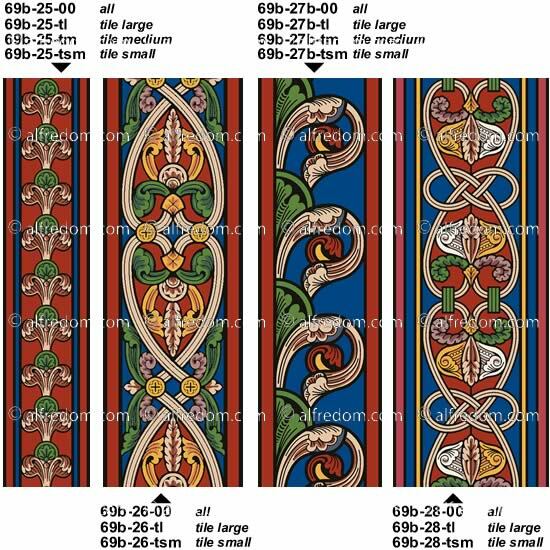 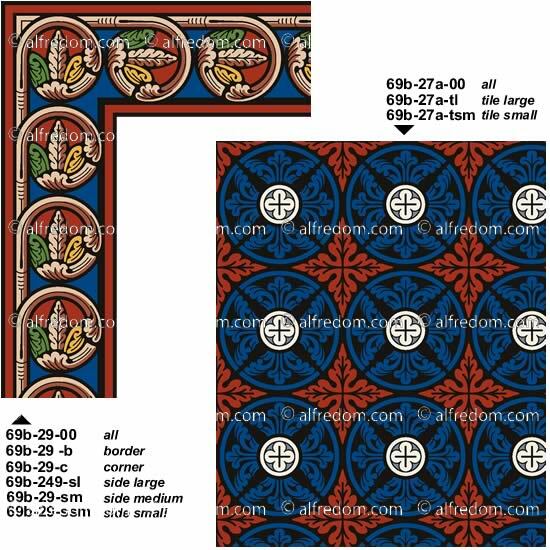 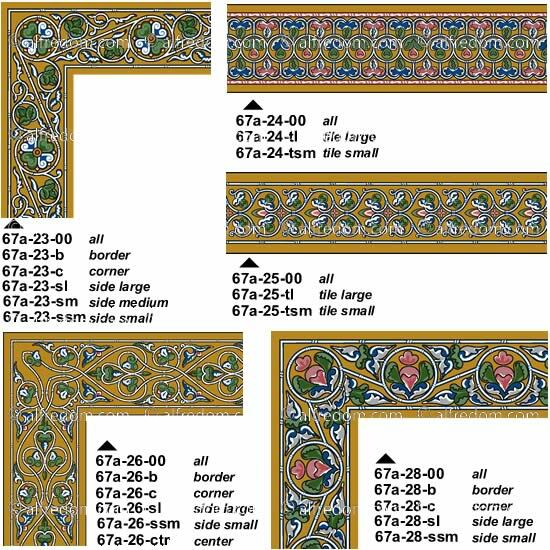 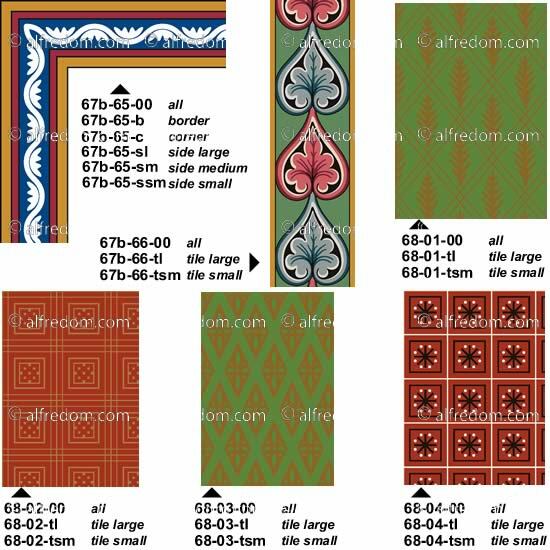 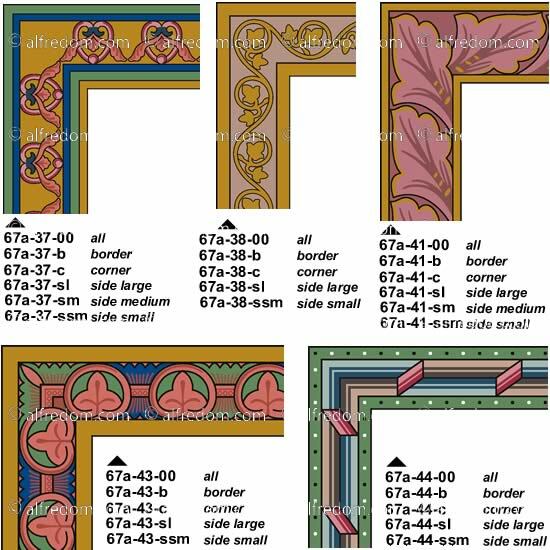 This volume is dedicated to the Medieval Ornament, a very large and comprehensive collection of vector graphics based on painted Medieval decorative ornaments, illuminated manuscripts page borders and dividers, background tiles, textile all over patterns, stained glass design and terracotta tiles and more, all hand drawn in vector eps format in Adobe Illustrator. 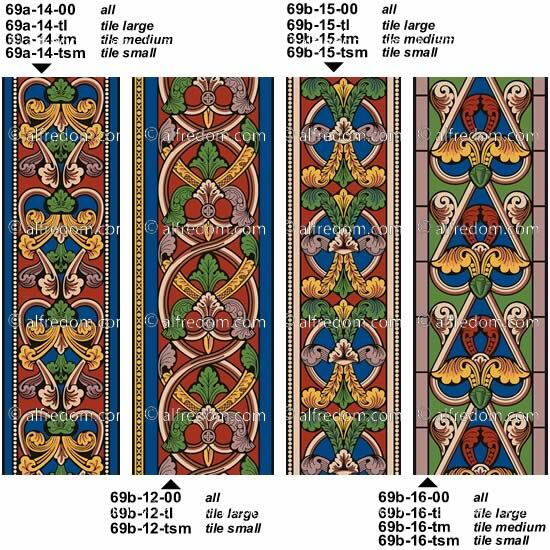 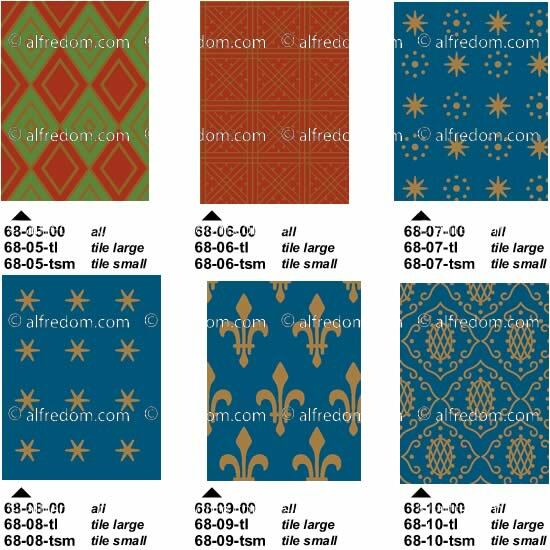 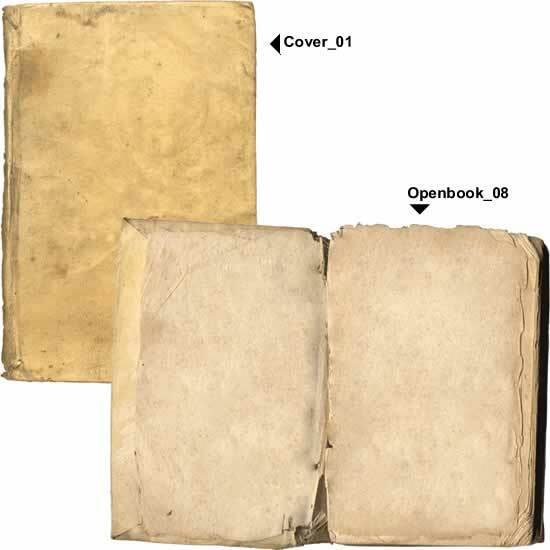 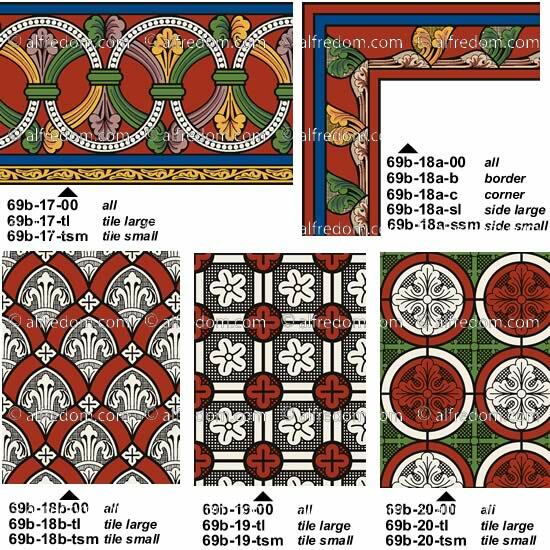 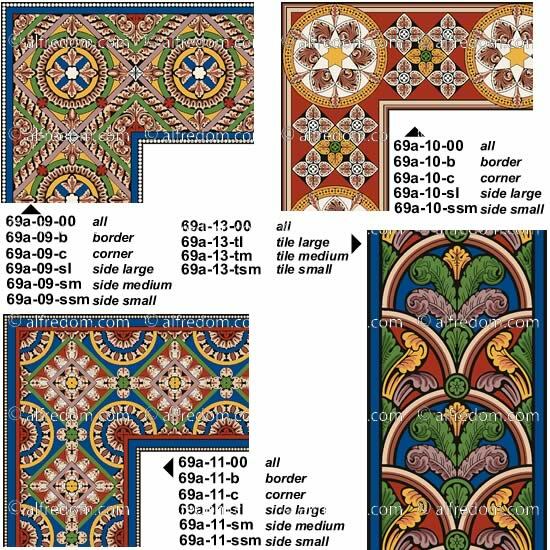 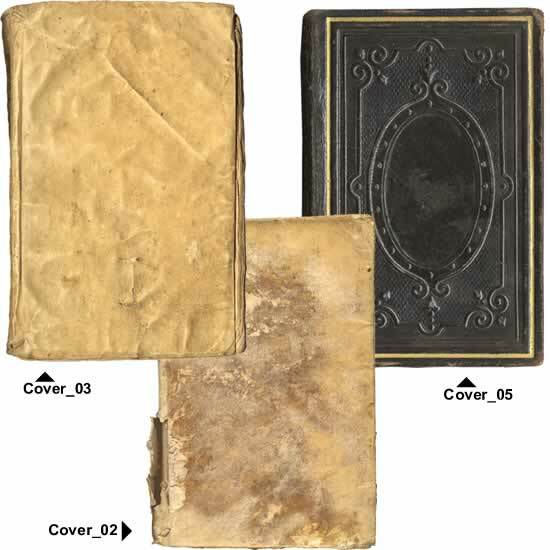 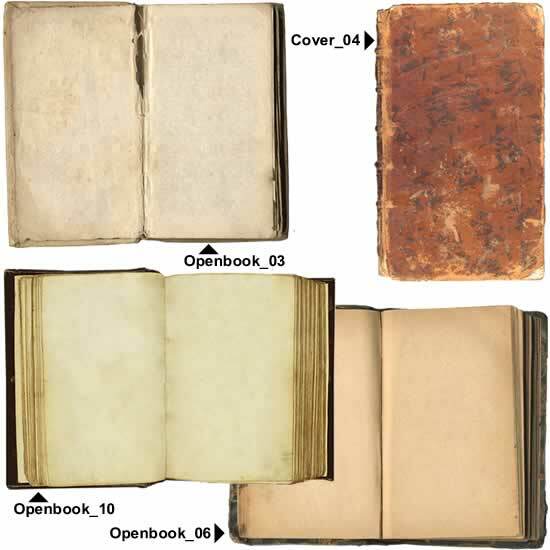 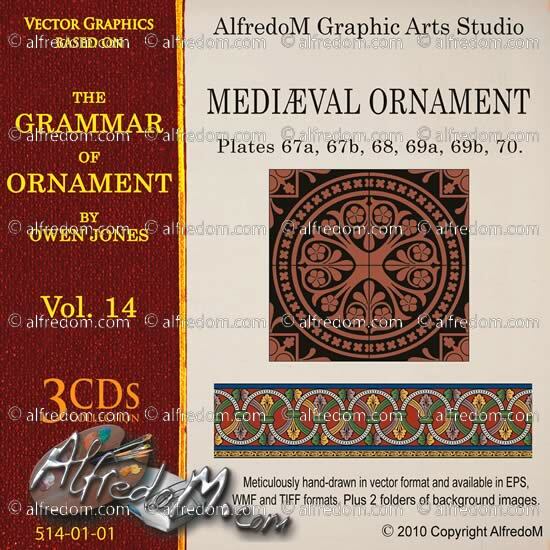 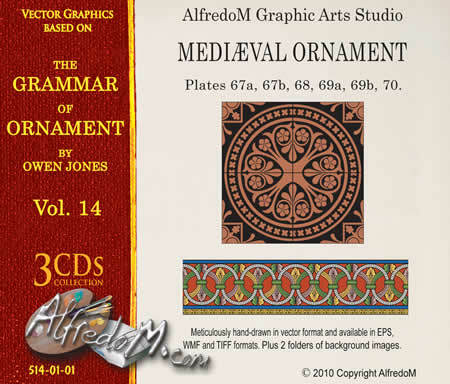 This catalog is large as is this collection of Medieval vector graphics; take the time to see all its pages to appreciate the quality of the drawings. 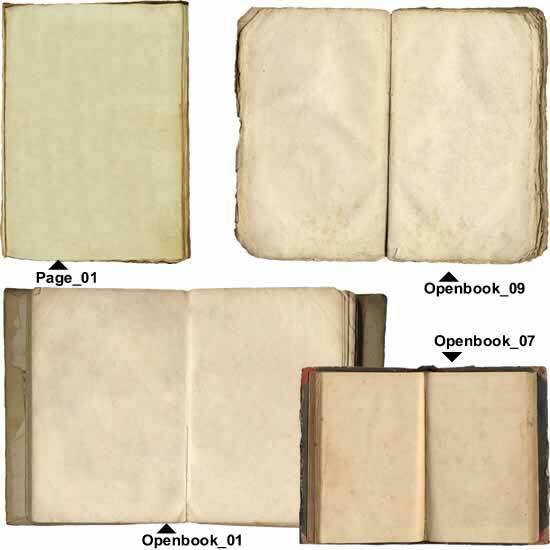 This specific Volume includes 639 graphic files in the EPS format.